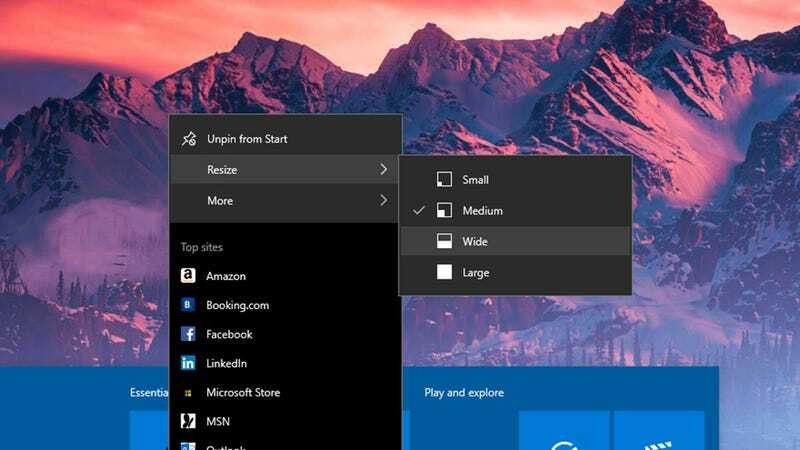 The Start menu is your way into Windows and the web—it’s where you find your apps and start your searches, where you go to customise the system and organise your digital life. 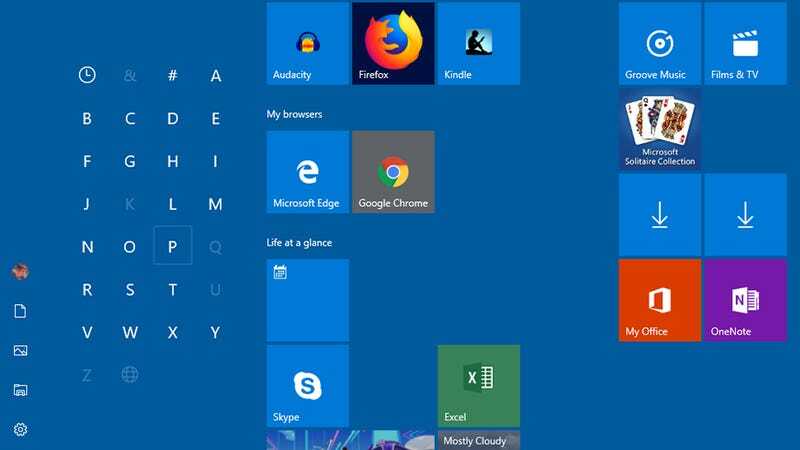 It’s the hub of everything you do on your Windows computer, so don’t settle for the default configuration: Make the Start menu your own. To access the basic Start menu settings, open the Start menu itself and click the cog icon on the left. 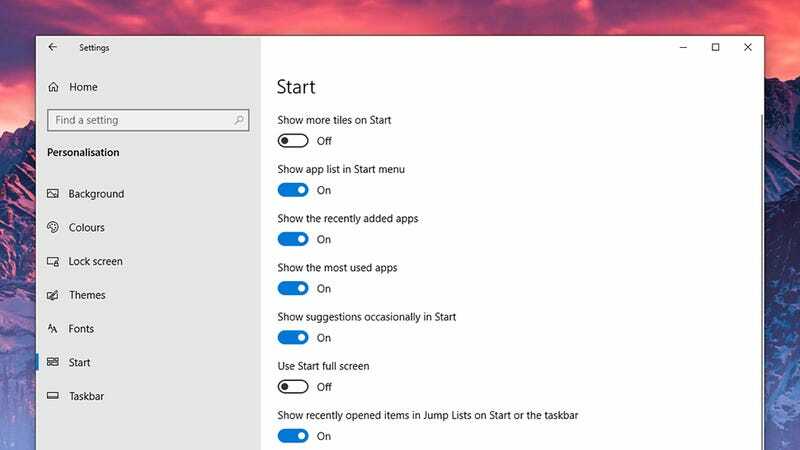 Choose Personalisation, then Start, and you can turn various Start menu features on or off, including whether or not recently installed and frequently used apps are shown. The main apps list can be hidden altogether, leaving only the tiles. The settings for the look of the Start menu are somewhere else: Click Colours under the Personalisation heading to pick a different accent colour for the Start menu (and other elements of Windows). You can enable transparency effects and switch to dark mode here too—the changes apply to the whole operating system, including the Start menu. If you tick the Start, taskbar, and action centre box then a variation of the accent colour you’ve picked acts as the background to the Start menu (and taskbar) as well as the accents (like the app tiles) themselves, rather than the regular black. Any changes you make get applied in real time, so you can quickly undo any modifications you don’t like. Right-click on a tile and in some cases a Resize option appears (it depends on how the app developer has coded it). This gives you more choices for designing and configuring the Start menu, and getting the programs you need front and centre. Choose Unpin from Start to remove a tile. Shortcuts for files can be added to, but it’s a rather convoluted process: From File Explorer, hold down Alt then click and drag a file to the desktop to create a shortcut to it. Then, move that shortcut to the C: ProgramData Microsoft Windows Start Menu Programs folder—it’ll then appear on the main apps list on the left and can be pinned to the tiles pane just like a program. 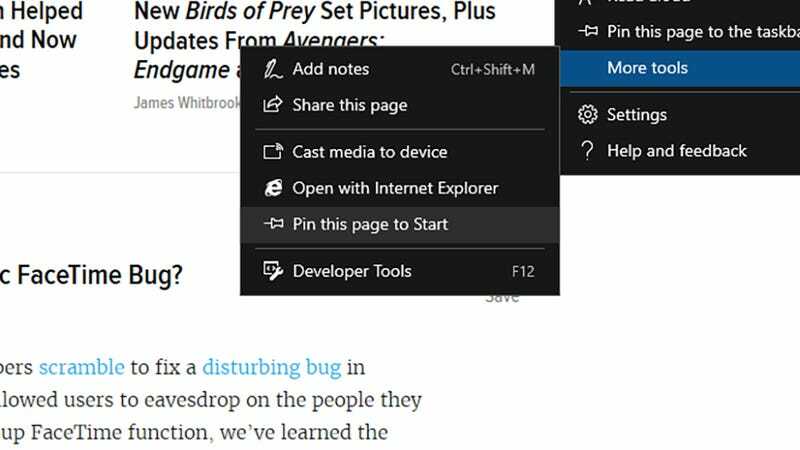 To open other web links in other browsers, the browser needs to be set as the default for Windows. with the page open, click and drag the URL to the desktop to create a shortcut, then move that shortcut to the same C: ProgramData Microsoft Windows Start Menu Programs folder in File Explorer that we mentioned earlier. That’s most of the Start menu customisation options and tweaks covered, but there are a few other points to mention. To quickly uninstall an app from the system completely, for example, right-click on its Start menu entry and choose Uninstall. This wipes it from your system, not just the Start menu. You can even remove all the tiles and shrink the menu right down for a more classic look, if you want. Finally, if you have a lot of apps, click any letter heading in the apps list for a quicker way of searching through them (you can also remove and rename shortcuts by going to the C: ProgramData Microsoft Windows Start Menu Programs folder that we’ve already mentioned).